Our product range includes a wide range of rotary conveyors, tripper conveyors and screw conveyors. 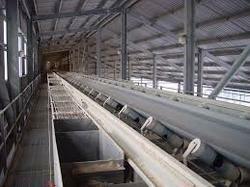 Holding top most position in the market, we offer Tripper Conveyors to our valuable clients. Our professionals make sure that the product perfectly performs well and is quality based so as to keep our clients satisfied. High grade materials are used to manufacture this product. We offer this in competitive market price range that attracts maximum clientele and this is the reason of our credibility amongst our clients. 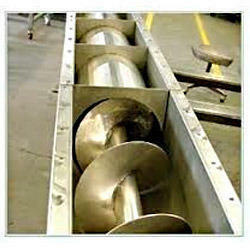 As per the variegated requirements of our customers, we are offering a broad collection of Screw Conveyors. Our offered conveyor is manufactured using optimum grade material and cutting edge techniques in adherence to set industry standard. Further it is checked on different quality parameters before being dealt to our customers assuring its flawlessness at user’s end.